I hope your holidays went swimmingly, my bookish and bloggy friends! I sort of fell off the face of the blogging world for a while there, but hey, its 2017 and it's been great to recharge and start the year afresh. 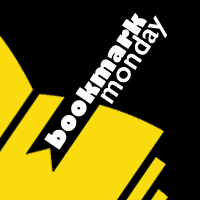 This is the first BookmarkMonday for the year, and it's a fine one. What could be more beautiful than silk? I got this off a tag on a silk shirt and I couldn't throw it away. I think it looks lovely as a bookmark reborn. 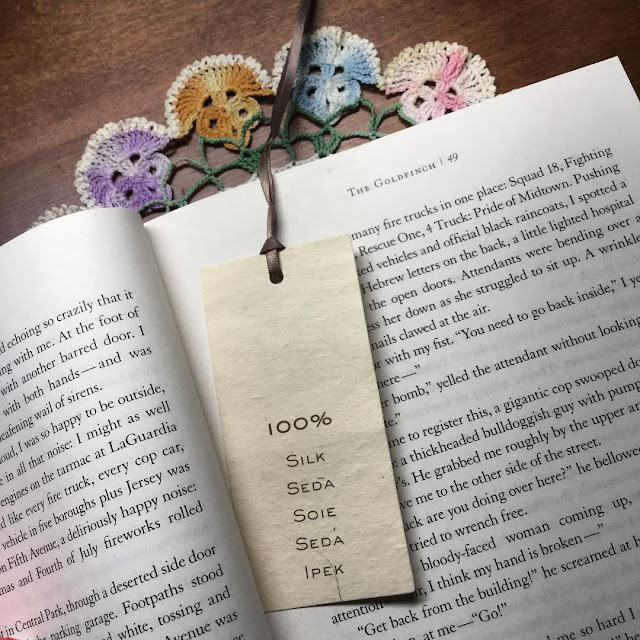 Do you use clothing tags as bookmarks? If you didn't know, I also have an Instagram account (look me up: @guiltlessreader), follow me and I'd love to follow more bookish accounts! You can also post this meme on Instagram - tag me so I can comment! Post about it on your blog / Twitter / Pinterest / Instragram and link up below.